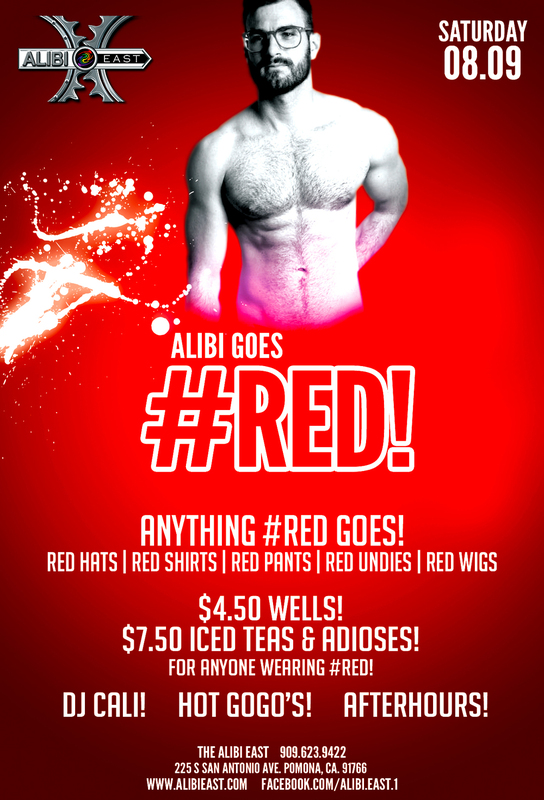 ALIBI GOES RED! RED PARTY! Alibi East goes RED! Come out and feel fabulous in your favorite piece of RED! Drink specials for everyone wearing Red! DJ, Dancing, GoGo's, Afterhours! BEER BUST & SUMMER HEAT PARTY!